Sometimes there is separation and disconnect between people, the earth, and one’s self. 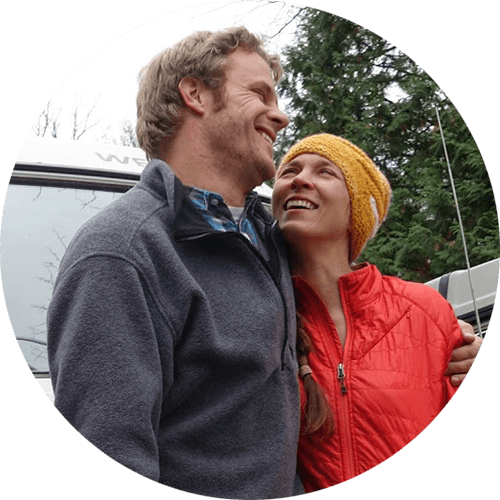 We are husband and wife duo, Jordan and Crystal Frank-Shannon and we established VanGo Auto in 2017 because of our interest in impacting this issue in an unusual way. Typically one would not think a company repairing vehicles and renting out classic campers would be classified as a platform for connection but this is where we push back. VanGo provides customers with warm appreciation, care, and expertise through auto repair but also offers a unique way to connect with the outdoors, others on a trip, and a deeper peace within through the Volkswagen Camper rentals. As the owners of VanGo, we are thrilled to utilize our years of experience and knowledge in the automotive, business, and helping industries to make life easier for our community and fill it with more smiles. Serving others, camping, travel, unique adventures, and family are some of our favorites so VanGo Auto makes sense. Jordan has close to 20-years of experience in the field as a certified Mechanic and 5 ½ years as the General Manager of a successful European automotive repair business managing staff and operations. He is a wizard with Audi, Volkswagen, Subaru, Mercedes, BMW, and really any vehicle repair and is skilled at listening to customers and getting their needs met. Crystal has a Master’s degree in business and in her recent past 8 ½ years she was the Director of a shelter and housing organization managing staff, operations, finances, vision and caring for people. Her experience equips her with customer service and business management savviness.